There are a few different ways I’ve learned on How to Test for Ketosis. This becomes extremely important when you are doing the Ketogenic Diet. The Ketogenic diet (Keto diet) has switched your body from using glucose as fuel to burning fat. When you restrict carbohydrates, your body generates ketones and metabolizes fat. You basically become a fat burning machine! I’m not so good at explaining the science behind how this diet works so that’s a very top level way of thinking about it. I can tell you that it works and it makes you feel great! 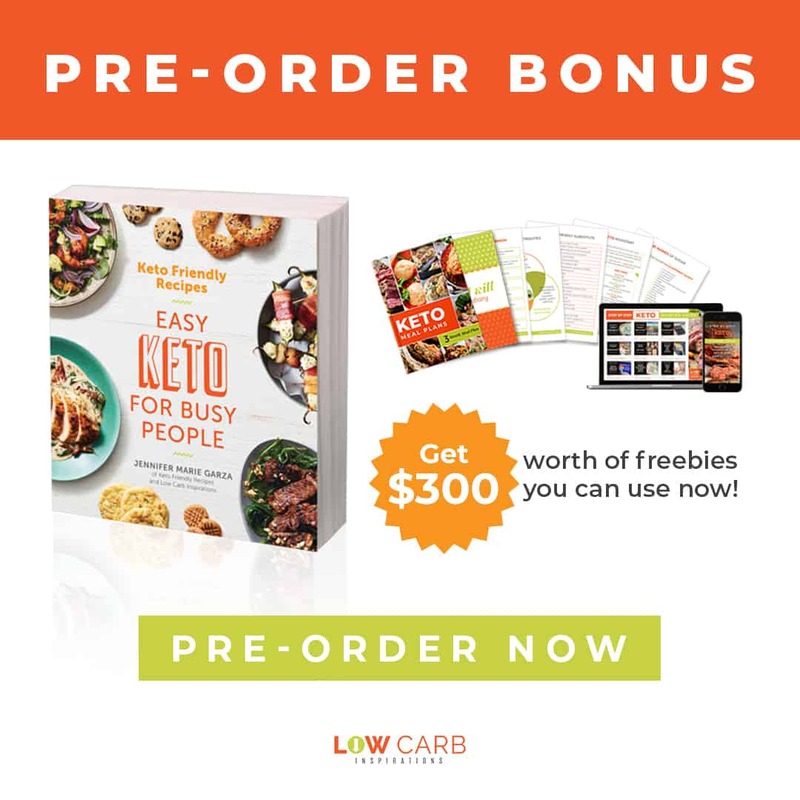 When you start this Keto diet, you are learning which foods you can have and which foods you need to limit or restrict altogether. I remember back when I first started this way of life, I relied heavily on testing for Ketosis so I could tell which foods kicked me out of Ketosis. There are a few different ways you can test Ketones in your body. Ketones are detectable in your breath, urine, and blood. There are a few different devices you can use to test your Ketone levels. When I started the Keto diet, I started testing my ketone levels with Ketone urine strips. 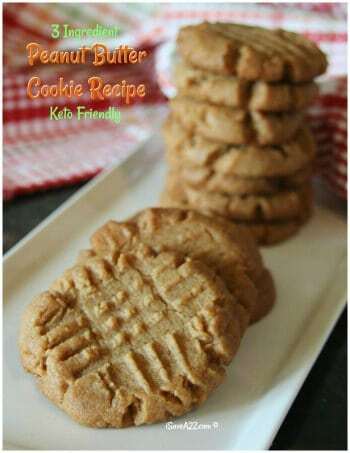 They are fairly inexpensive and you can get them almost anywhere. 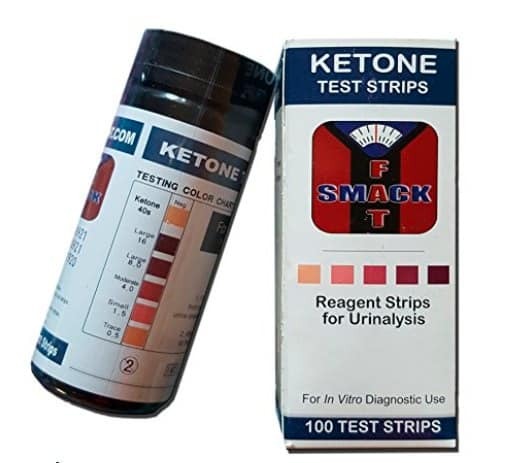 I have found I can order Ketone Urine test strips on Amazon for way cheaper than getting them local in a store. (thank you, Amazon Prime!) This is what I used in the first 3 months of this diet to aid me in the learning process. After you become fat-adapted, these strips may not be useful to you as they may not be able to give you a positive reading. This was the reason I stopped using them after 3 months. One thing to note, if you are dehydrated (which I was often in the beginning) it will show a deep level of ketones in your urine. I found this to be a false reading for me once I really started to learn to get my electrolytes while on the Keto diet. You can purchase breathalyzer devices to test for Ketones. One device that many people talk about is the Ketonix. It’s a reusable Ketone Level Analyzer. I personally was not willing to take the chance on purchasing this item because the reviews on Amazon for the Ketonix are horrible. Not only that, the price tag for this item was over $200! I did, however, purchase an inexpensive Breathalyzer keychain on Amazon. It’s a portable unit that tests the BAC (Blood alcohol content) in your system. I wasn’t sure what to expect when I purchased this unit. I had a few friends tell me they use it to test for Ketosis even though it’s listed as a blood alcohol testing device. I’ve learned that these “cheap” breathalyzers don’t distinguish between alcohol and acetone. I did a few tests with a breathalyzer myself. 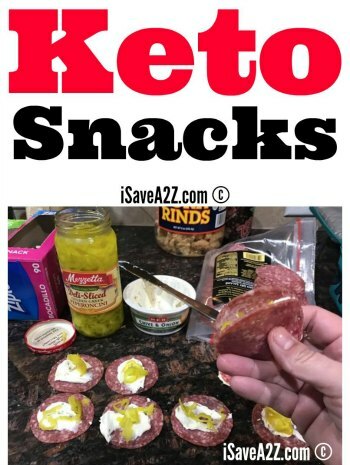 I tested it on someone who was not on the Keto diet and had not been drinking. The results were 0% as expected. I tested it on an intoxicated person and I got a positive reading. Then I tested it on myself and I also got a positive reading. I was anywhere from .02 to .06 on the meter from all the times I’ve tested it. Finally, I tested my blood with a Precision Blood Glucose and Ketone Testing Kit. 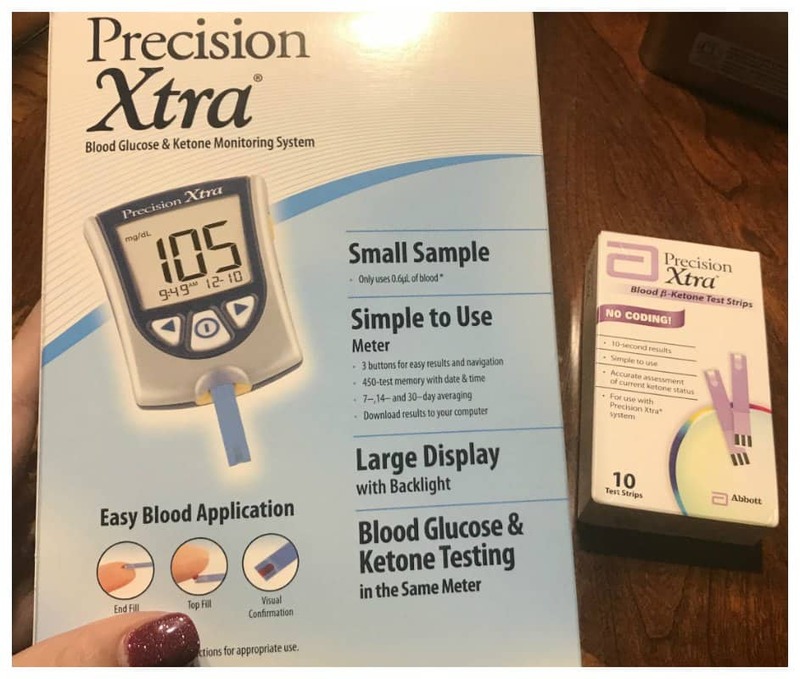 I have found that it’s really easy to find the meter anywhere local but finding the ketone testing strips is not so easy. Not one place local to me had the test strips in stock. It’s just not something they carry. I had to purchase the testing strips on Amazon. Local places did offer to order it for me but the price difference from those on Amazon where way different. I opted to have them delivered to my door to save some money. I should say that I have never, ever tested my blood using one of these devices until now. The first time I used it I didn’t poke myself deep enough to even draw any blood. Then the second time I poked myself, I didn’t get enough blood on the strip to even get a reading. These strips are expensive and I just wasted one! Gosh, I could never be a nurse. I had to get my husband to help me. I tested my blood results against an inexpensive breathalyzer I purchased. My blood reading was a .05 and my breathalyzer reading was a .02. This tells me a couple of things. The blood meter is the most accurate testing device you can use at home but it’s also the most expensive. The “cheap” breathalyzer will detect a reading when you are in ketosis, however, that reading will not be as accurate as the blood meter. I think the g/l conversion to mmol/ conversion levels may have them pretty much identical. It’s close enough for me to really like the breathalyzer anyway! I really like the urine strips for testing during the beginning phase when you are learning the Ketogenic diet. The cost of these strips allowed me to test often! 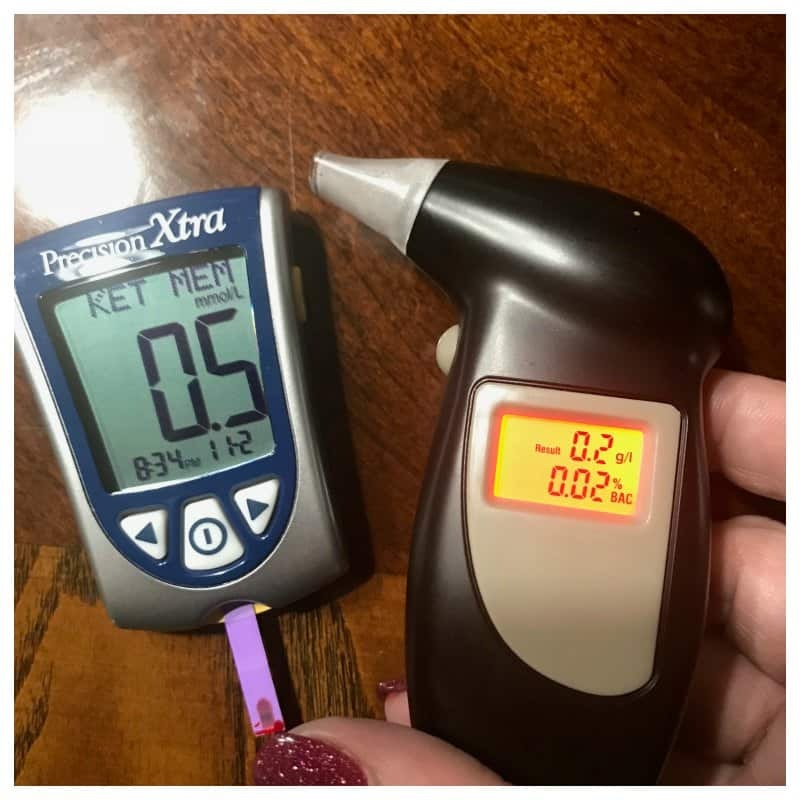 The “cheap” breathalyzer I used does return a reading when you are in ketosis. It’s not an accurate reading but a reading just like the urine strips. It’s a good way to learn if you are in ketosis or not. The blood meter is the way to go if you are looking for an accurate reading by means of testing your ketones at home. It is the most expensive though. I’ve been doing the Keto Diet for more than 10 months now. I know the ins and outs of the diet. I know what to eat and I know what kicks me out of ketosis. I’m not one that likes to get my blood drawn and I certainly don’t like to do it at home either. It’s amazing the things you learn about yourself when you try new things. I wanted to do this test because there were so many questions about each different method of testing for ketones. I hope this information helps you find the best way that works for you within your own budget. 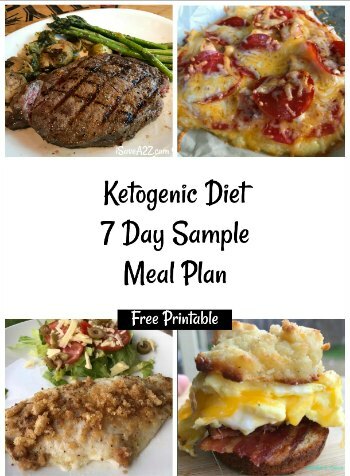 By Jennifer on November 3, 2017 Ketogenic Diet. I am so glad you took one for the team and found a way to test ketones without blood. I couldn’t do that. Way to squeamish! Thank you for doing this and sharing!